In his almost 20 years of cutting hair, Sam has built a reputation to rival any barber you know. His clientele ranges from well-known rappers and professional athletes to your everyday blue-collar guy to everybody else in between. Sam and his shop stand apart from the rest because a barbershop is only known to cater to men, but his client numbers include more women than you would expect to come just to have designs etched into their scalp from his skillful hands. Sam is more than a Barber, his dedication to his craft and the lifestyle Strickly Skillz embodies inspires his staff to reach their full potential. His laid back demeanor and approachable personality make him a highly sought after barber that a client will pay 300 just to keep him in his shop after business hours. Meet Sam Sneed, 31-year-old Master Celebrity Barber, and Owner of Strickly Skills Barbershop. 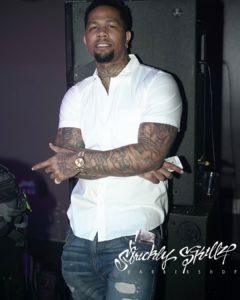 Z or ‘Z da Great’ as he is known by his Strickly Skillz clients is the younger brother to Strickly Skillz owner Sam Sneed. In a few short years, Z has made a name for himself in the game of Barbering. He finds himself in a unique situation because he is more than a Strickly Skillz barber as he holds a unique relationship with Sam that only brothers could understand. They do everything together from taking trips, getting tattoos, to cutting hair side by side. Z has become a Master Barber in his tenure at Strickly Skillz But before he took a leap of faith on his Barber Career his aspirations were on a football field. While attending college, Z began to cut hair in school so he was no stranger to Barbering when the opportunity to further his football career began to dwindle. Faced with a decision on whether he should continue to chase his football dreams or find another way to make money, Z teamed up with his brother Sam at Strickly Skillz. Although his heart will always be on sports Z has found himself in a unique situation where he has been able to combine his talent for cutting hair with the same dedication he once had for football and turned it into a fruitful career. Meet Z aka Z Da Great, 28-year-old Master Celebrity Barber, Strickly Skillz Barbershop. O the barber rounds out the Strickly Skillz crew. 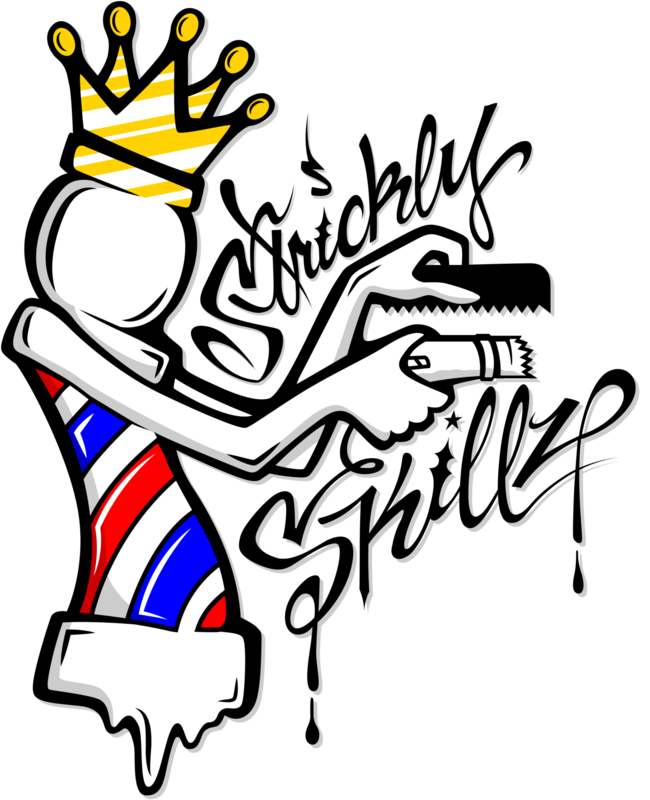 He adds a competitive element to Strickly Skillz barbershop. O met Strickly Skillz owner when he was 18 years old while he was still in Barber College. Upon finishing school O took Sam up on his offer but when Sam was unavailable O inpatients lead him to join another shop. After not reaching his potential at this unnamed shop he was fired and returned to Strickly Skillz. This time he was given a chair and the opportunity to prove himself as a young barber. In his tenure with Strickly Skillz, O feels he is the BEST the shop has to offer and he has surpassed his boss and mentor in skill. But what adds the most exciting element is O’s developed rivalry with Co-Barber Z da Great. Although O says the rivalry isn’t personal, he is very adamant about his disdain for Z as a Barber. O feels that Z was spoon fed his position in Strickly Skillz because he is the kid brother of the Sam Sneed. O believes that Z didn’t have to work hard for his position and that Sam gives Z too much credit. He challenges Z in everything from cutting hair to one on one basketball games. O feels since Sam taught both his young brother and O the ropes, Z shouldn’t just automatically be the number 2 guy in Strickly Skillz. Meet 26-year old O da Barber, The Wild Card. Master Barber Strickly Skillz Barbershop.